I'm a big fan of compact subwoofers. I'm a big fan of compact subwoofers. 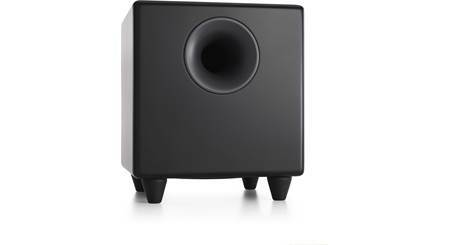 They deliver impactful bass that adds lifelike detail to music and movie soundtracks without devouring a huge chunk of valuable floor space. 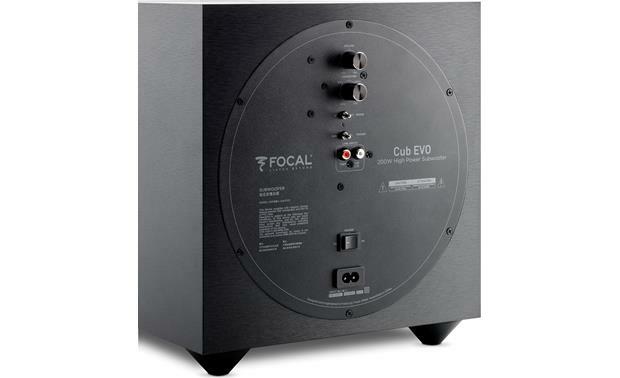 Cue the hard-hitting Focal Cub Evo. 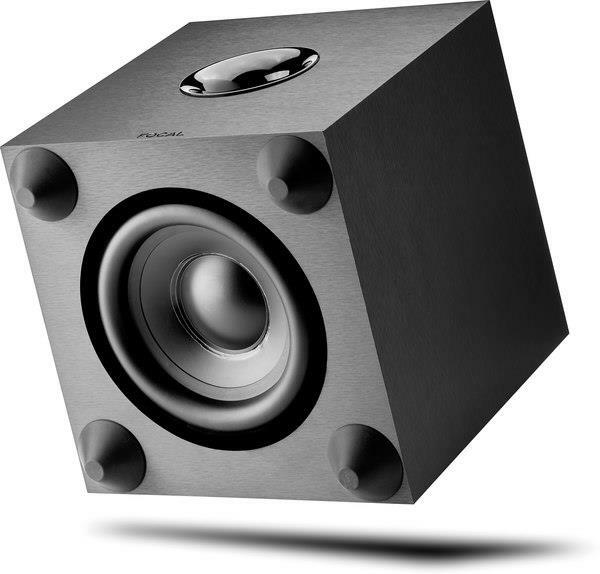 This small-but-mighty sub pumps out potent bass that's ideal for small- to medium-sized rooms, all while taking up less than a cubic foot of space. 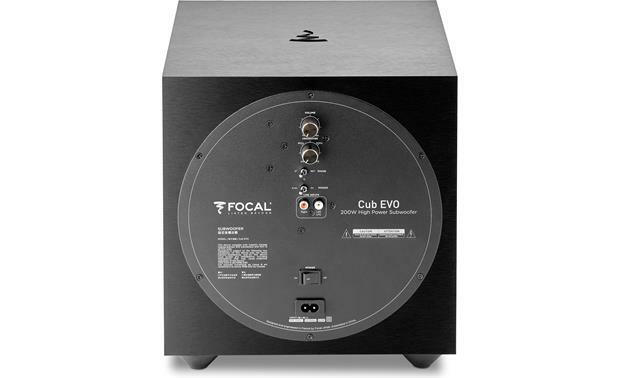 The Focal Cub Evo's down-firing driver disperses bass evenly throughout your room. Building a new home theater system? 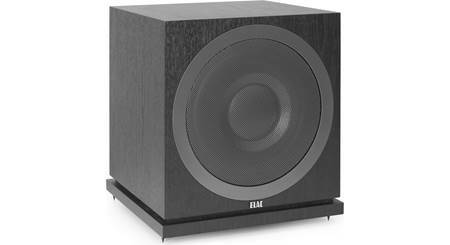 The Cub Evo sub is a great match for Focal's line of Sib Evo and Sib Evo Dolby Atmos® bookshelf speakers. 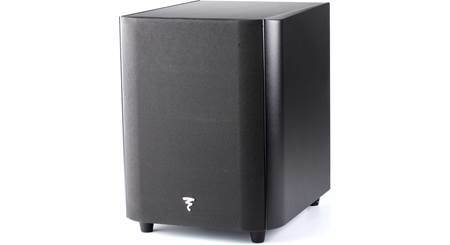 Powered Subwoofer: The included Cub Evo powered subwoofer features a down-firing 8" polyfex woofer powered by a highly efficient, high power 200W Class D amplifier for deep, dynamic bass. The compact bass-reflex enclosure also features a front-firing streamlined port for optimal bass performance. The sub enclosure is made of MDF and features four integrated large rubber feet for very low vibration and resonance. Controls: The Cub Evo powered sub offers volume level control, a variable low-pass crossover (40-200Hz), and a phase switch (0°/180°). All controls are located on the rear-panel of the powered sub. Connections: The Cub Evo features a stereo RCA input. The left RCA input can be used as an LFE input when connecting a receiver with an LFE output and internal crossover. When using only the left LFE input, make sure you set the sub's low-pass crossover to the "LFE" setting. The powered sub's detachable 8' AC power cord will need be plugged into an AC wall outlet or surge protector (sold separately). Mounting & Placement Options: By placing Cub Evo powered sub in a corner, the room resonances will be excited in a more linear and predictable way. Not only will bass perception be optimal, but this location will also make it possible to boost the bass level by 6dB. 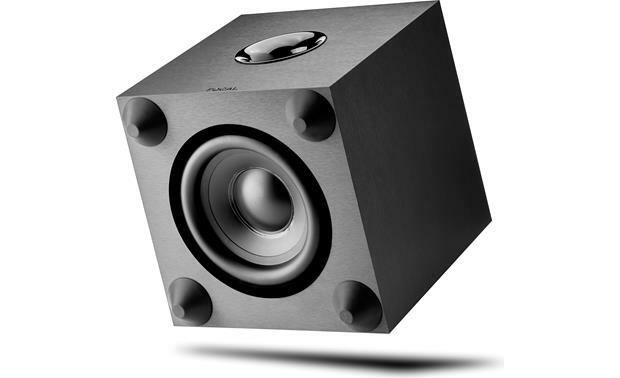 If for practical reasons you are not able to place the subwoofer in a corner, experiment positioning the subwoofer in different places within the room until you find the best spot. Integrated rubber feet provide safe placement on your floors. Auto On/Off: The unit will automatically power on when it senses an audio signal and automatically power off when there is not audio signal for approximately 20 minutes. 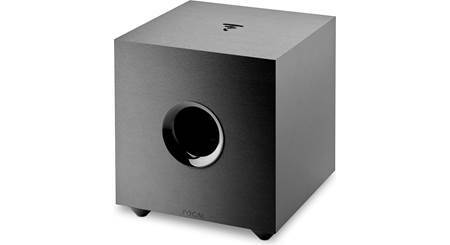 How is the sound quality on this little subwoofer and how low can the bass go, can you hear every detail? Searches related to the Focal Cub Evo Compact powered subwoofer.